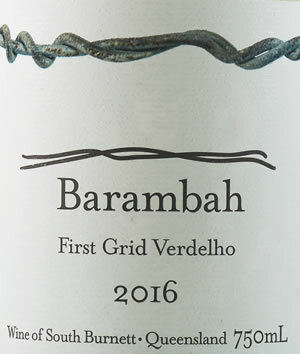 The Verdelho grape is of Mediterranean heritage and continues to find a natural home in the South Burnett. Early spring rains and a warm moderate growing season with some summer showers characterised the 2013 vintage. This produced fine verdelho grapes with focussed fruit sweetness and high natural acidity. This unwooded wine is a seamless display of fresh lemon jest and ripe mango flavours. Bone dry. Blending has produced a fuller weight wine with lasting texture to enable longer aging.